[vc_row][vc_column][vc_column_text]Light therapy has been shown in numerous studies to alleviate the symptoms of Seasonal Affective Disorder – anxiety, stress, depression, insomnia, appetite loss, etc. Although light boxes have been shown to help, the FDA still have not approved them so some people are skeptical about how well they would actually work. This is why it’s always great to try before you buy, and it doesn’t take long to reap the benefits that light therapy has to offer. Friends, work colleagues, neighbors, family members… Ask around or have a shout-out on Facebook or other social media platforms. 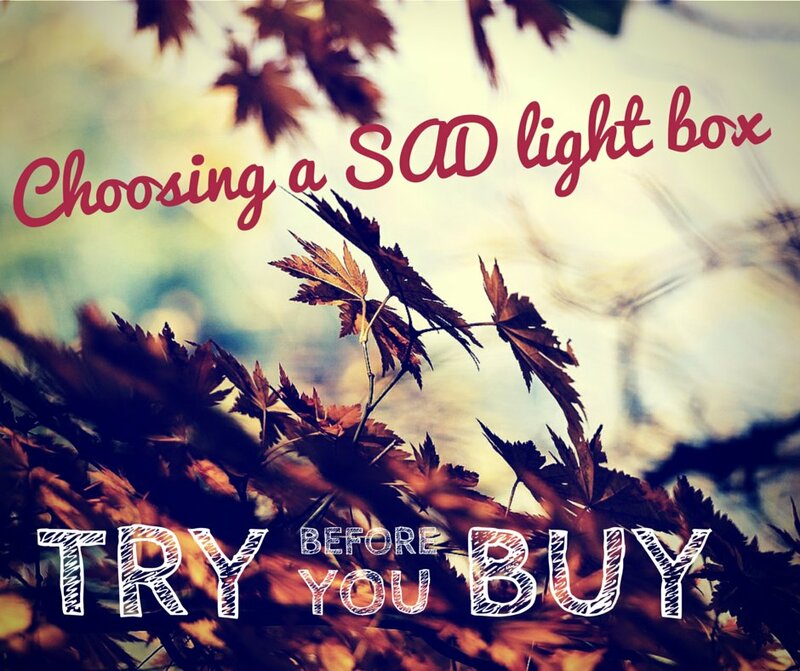 Someone else is bound to have a light box that they could let you borrow for a couple of weeks – you’ll be surprised at how many people out there actually suffer with SAD and the associated common symptoms. This Scandinavian idea seems to be doing the rounds all over the world now with light therapy cafes opening up almost everywhere that you can think of. The latest craze, it’s basically an internet cafe but instead of Wi-Fi, they offer a healthy dose of light to have alongside your midmorning cappuccino. This is the perfect way to try before you buy when it comes to light boxes! For a small fee, you could enjoy your coffee as you normally would, while getting a little helping hand at the same time. Doesn’t it just make perfect sense? It might even be worth having a chat with your GP as well as looking into local support groups for sufferers of stress, anxiety, and the winter blues. Occasionally you will find that you will be able to borrow a light box for a short while to get a sense of how well it will work for you. This is where Google will be your best friend and with just a few minutes of research, you might not only locate a freebie light box that you can use for a while, but also details of local groups where you can learn how to deal with the condition among like-minded people. Who knows, one of the members may have one that you can borrow too! Some places will offer you the option to rent a light box for a while, and this is the perfect opportunity to try a few different types, styles and sizes before you make your final purchasing decision. Some light boxes can be expensive and it’s going to prove to be a costly mistake if you don’t buy the right one for you, and this is even more so the case if the box won’t be covered by your insurance company. It has been said that you can see the positive results of light box therapy within about a week or so, so you won’t need to be renting long before you have made your mind up. Plus, some companies even offer you the chance to put the first months rental against the price of the box! It certainly pays to shop around. In the same way that some companies and websites will offer you the chance to rent the light box for a trial period so that you can get a feel to how well it will work for you, others will offer you the chance to actually TRY before you BUY with the option of a 30-day free home trial, as just one example. With so many skeptics about, it pays to try this approach. If you can’t see results within one week, a whole month will definitely make up your mind one way or another as to how you feel. Plus if you don’t get on with it, just get in touch with the company, tell them you’re sending the light box back and you’ll be entitled to your money back. Doesn’t get much simpler than that! Take a peek at the website of whatever company you’re looking at buying your light box from. Do they offer any kind of returns policy? If they do, buy it anyway! If they don’t, you can always sell the light box on if it doesn’t work for you. With online auction sites (and those support groups we mentioned earlier), even if you don’t get use out of it, someone will!